It’s that back to school time again and everyone has different emotions around it. Some love the feeling of getting organized and ready while others are sad to know how much their babies are growing up. My son started doing daily homework in kindergarten and this surprised me even though it made sense. Do you have a dedicated homework station or study area? Often times the kitchen table will suffice for a quick review or a worksheet, but it’s nice to have a zone specifically designed for homework where school supplies, books, and school calendars can have a place of their own. These dedicated homework station ideas will certainly keep your kiddos focused and on task. You can create a lovely space to inspire learning. And even if your short on space for an exclusive study area, there are some options to get their creative juices flowing. How about turning an unused closet into a cute study area? 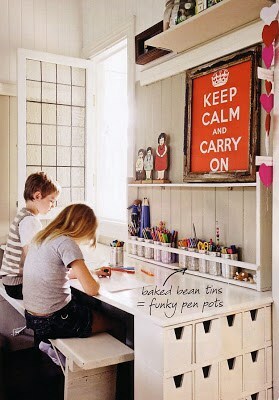 An inspirational quote tops off this cute and genius homework area. Don’t have much space? This bedside desk doubles up by serving as a functional homework station and side table. Check it out here. 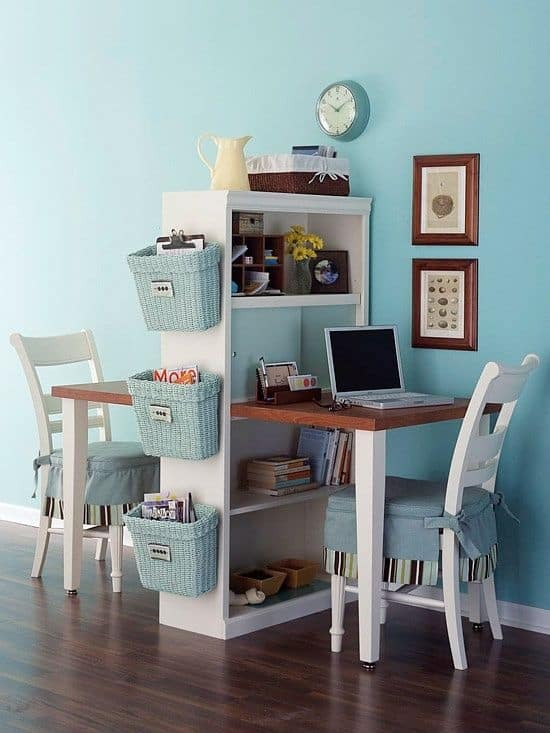 This desk utilizes a stacking bookshelf to easily store books and supplies for the perfect homework station. This study desk folds out from the wall and can easily be put away when their homework is done. Bonus: The chair folds away too! Create a calm and separate area to keep the distractions to a minimum while studying. The see through walls also let you keep an eye on them if needed. A simple wall to hang their past work is a great inspiration. Hang quotes or past homework assignments that excelled for inspiration. I really need to update that picture now that the cabinets are finished. This area truly melds learning and fun, especially if you have multiple children. The play area can also accommodate amazing lego buildings and a study area. If you have two or more children, figure out how they learn best. Do they prefer to study together? If so, set up the desk so it can accommodate two. Turn your window area into a small office or study area. Install a built-in desk and shelves under a large window for a work area with a view. Study areas don’t have to be boring. This colorful room inspires creativity and keeps assignments and supplies organized. Do you have a dedicated studying area in your home? How do you handle the daily kids homework and assignments? 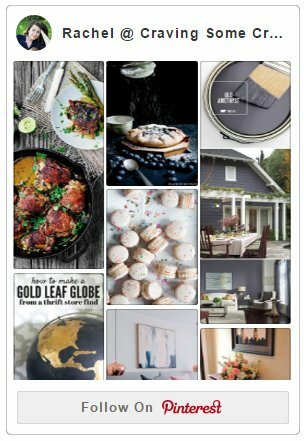 Love, love, love this collection of ideas. I’m now itching to redecorate/reconfigure!